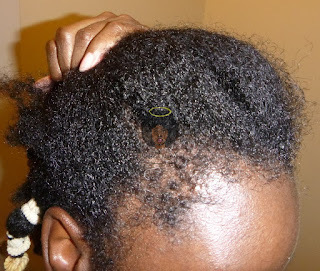 Last time, I told you that I was experiencing breakage with my natural hair and was going to do a protein treatment. Two protein treatments later lol, I'm here to tell you about my 2nd time with moisture overload. 1BlessedNatural: (After 2nd protein treatment)- The hair in my bang area was the roughest. When I did my last protective style, my hair was very dry and brittle. It was breaking off in little pieces. My hair also had a mushy and light feeling even after being moisturized. I started thinking about my diet (which wasn't the best) and my water intake. However, it was weird that my hair just changed its texture in a matter of 1 week. As a result, my hair was taken down and washed. Then, I deep conditioned with the ORS Hair Mayonnaise. I usually do this every 2 months. However, the last time I did a protein treatment was around Easter. It was too soon to have to do it again. Plus I had to clip my ends recently which I usually don't have to do often. The bottom line is I knew something was up! My hair was in a really bad condition. Before I realized I was experiencing moisture overload, I was thinking that I was going to have to cut all of my hair off and start over, and ain't nobody got time for that! LOL Thank God that wasn't the case. My last moisture overload experience wasn't as severe as this one. Plus, the circumstances were different. 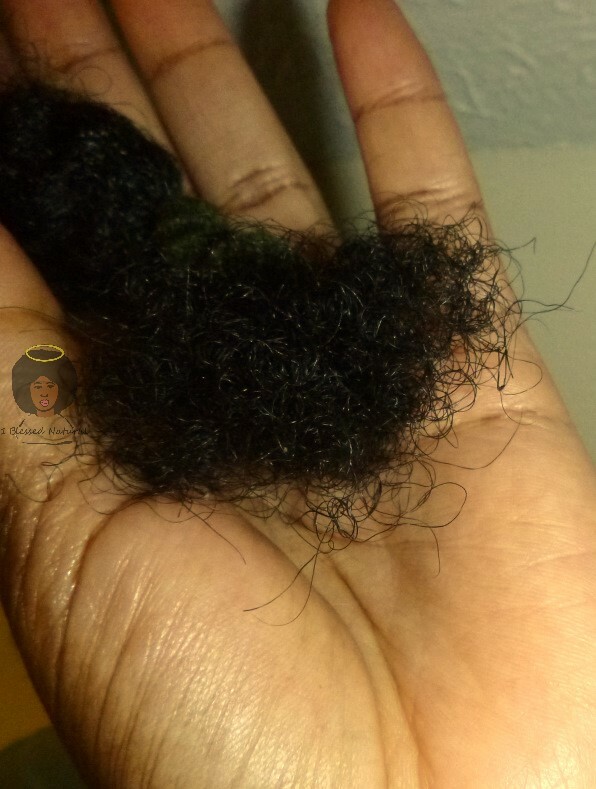 1BlessedNatural: my hair with the ORS Hair Mayonnaise on it. You can see my curl pattern is almost gone. 1. 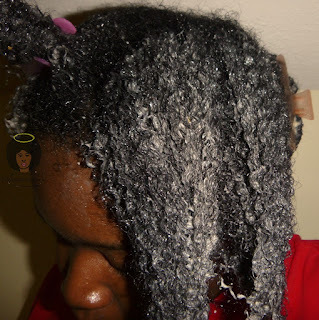 Protein Treatment: I did 2 protein treatments, 2 days apart. They were done after washing my hair and doing an ACV rinse. I probably would have only needed to do one protein treatment if I had left the Hair Mayonnaise in my hair longer than 45 minutes. My hair was saturated with the product, and I put on a plastic conditioning cap. Thursday, I left it in my hair for 5 hours. 1 Hour of that time was spent under a heating cap. Be sure to handle your hair gently, especially when detangling to avoid unnecessary breakage. 3. 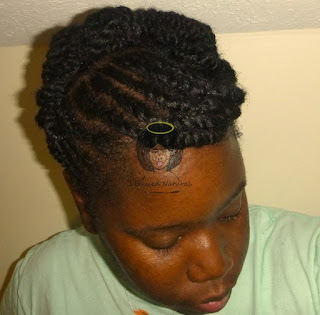 Protective Styling: After removing the bands, I redid the cornrow and flat twist (tuck and roll) updo. My bang area was the most dry. The rest of my hair was almost back to normal but it was very sticky from the products I used. That was very unusual for me considering I use those products together all the time. I knew my hair was having a moment lol. Below you can see the difference in the condition of my hair when I didn't realize I had moisture overload vs. last night (after 2 protein treatments). Water, Cantu Creamy Hair Lotion, and coconut oil was applied to each section before braiding/twisting. My hair immediately felt different. 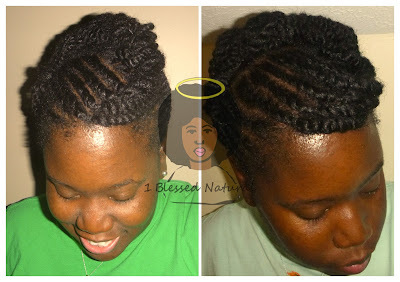 I also twirled the ends of my twists around my finger to encourage the hair to curl. My results are below on the right. I do not know what caused my moisture overload specifically. 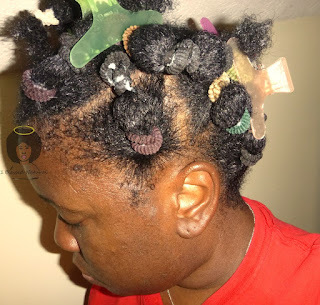 The only change in my hair regimen was I started using the Curls Creme Brule on an almost daily basis, but that has Aloe Barbadensis Leaf Juice (Aloe Vera Juice) which contains protein. Maybe it wasn't enough for my hair. It is a mystery. I also could have been missing a vitamin or something. All I know is my hair stays in good condition when I use the Cantu Creamy Hair Lotion. As a result, my lesson is to stick to what works for your natural hair! I will keep you updated on my progress! Have you experienced moisture overload?